An Alberta distillery is ready to quench a growing thirst for craft spirits on the East Coast. Rig Hand Distillery — based in Nisku, just south of Edmonton — is preparing to open its first sister distillery in New Brunswick. 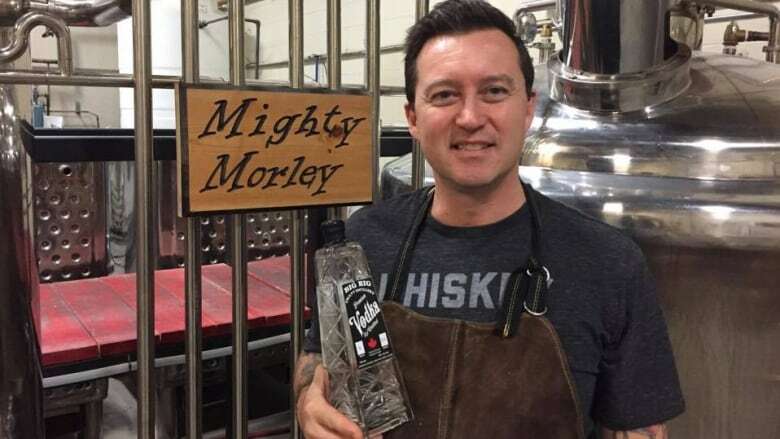 Company owner and head distiller Geoff Stewart, a native of Woodstock, N.B., said he and his cousins back home are applying for all the regulatory approvals needed to build a new operation north of Fredericton. "I have some relatives in the Maritimes that are interested in partnering with us out there," Stewart said in an interview with CBC Radio's Edmonton AM. "We have the know-how and we can train them and teach them how to make the kind of spirits that we've been making." Stewart anticipates the New Brunswick operation will eventually produce 10,000 bottle a week. "Hopefully we'll be breaking ground this year and have a distillery, similar size to what we're running in Alberta," he said. "Everyone is going at full strength." Rig Hand has been operating in Alberta since 2014, producing bottles from its small operation in Nisku. The business also hosts distilling workshops, tastings and special events. The company produces a line of spirits including vodka, gin, whiskey, moonshine, cream liquor and a beet rum called brum — each one sold in a signature bottle designed to look like an oil derrick. Rig Hand has struggled to sell its products in other provinces, Stewart said. Regulatory guidelines mean steep mark-ups on his bottles when they're sold outside Alberta. Stewart said having a separate operation in New Brunswick will mean his product can stay affordable — and make it onto more store shelves. "It's difficult to ship alcohol from province to province and then when you do go through all the rigamarole of getting approval to do it, there's some pretty high taxes levied,' Stewart said. "It's hard to be competitive when you have that big of a tax markup. "It's frustrating when you've got a good product and a good brand and you can't get it to people." The distillery uses only local ingredients, relying heavily on Alberta farmers. For instance, the vodka is made with "ugly potatoes" that taste fine but didn't pass muster on the production line. While the New Brunswick booze will be branded with a more nautical theme, Stewart said, the business model will remain the same on the East Coast. The company plans to use local potatoes, dairy and molasses to brew New Brunswick booze and host special events like weddings and small concerts. "It's not just alcohol, it's the whole experience when you do this thing properly," Stewart said. "Eventually we'll branch into some other more specialized things some gin, and flavoured vodkas. "Whatever we make, we only buy the ingredients from local farmers. Yeah, you'll never see us making tequila in New Brunswick." Stewart and his cousins have been meeting with the New Brunswick Liquor Commission and tourism officials and they seem keen. They hope to have full regulatory approval within a few months — and cash in on the growing industry. "Right now in Alberta, there's 26 craft distillers. Four years ago there were five," he said. "The industry is really exploding. "It's kind of mirroring the success the craft beer industry has had, and craft beer is extremely popular in the Maritimes."